A tincture is a concentrated herbal extract. In the cannabis world, this means it’s an herbal extract that has some of the useful properties of weed. Cannabis tinctures are usually made from alcohol but they can also be made with glycerin to skip the intoxicating effects of the – usually high-proof – alcohol. 3 jars containing cannabis tinctures, each one made a different way. Some tinctures are made to be ingested while some are made to go on your skin. The difference comes from how the tincture was made. If you make tinctures with food-grade materials like Bacardi 151, Everclear, Glycerin, etc., then tincture is going to be edible. If you’re making it with isopropyl alcohol (or something else that isn’t safe to ingest), then you’re making a topical tincture which should be applied to your skin instead of being eaten. Don’t make edible tinctures with isopropyl alcohol, it’s really bad to eat that stuff! Don’t ingest anything made from isopropyl alcohol! Simply put, alcohol is better for making tinctures because it’s better at bonding to THC than glycerin. Alcohol makes tinctures faster than glycerin because alcohol bonds with THC easier. Any alcohol being used for tinctures should be high-proof which isn’t as easy to get as glycerin which can be found in many craft stores. Still, a high-proof type of alcohol like Bacardi 151 can be used, and it’s pretty easy to find in all states. 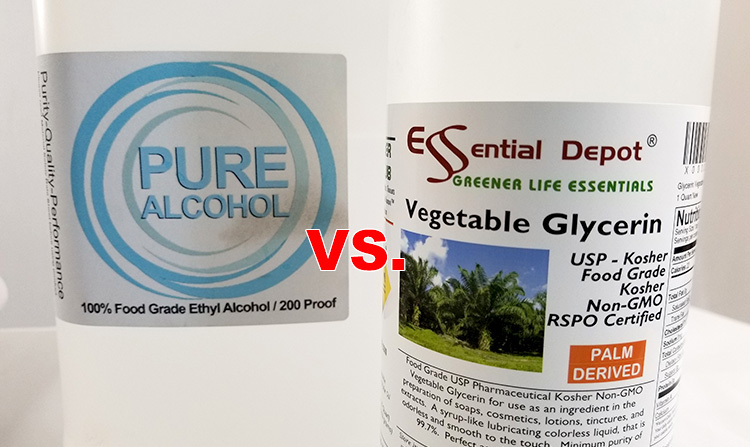 Glycerin is a plant-based solution that is great for tinctures when you don’t want any of the intoxicating effects of alcohol. Although Glycerin is a great vehicle for tinctures, it’s not as good at bonding to the THC in your cannabis. Therefore, it’s better to make your tincture with alcohol, then add glycerin afterward. If you want your glycerin tincture to be stronger, you can evaporate some of the alcohol and add glycerin in its place. If you have easy access to Everclear, you’re already set. Everclear is a great type of alcohol to use for tinctures because it’s so pure and it’s edible (which is super important). 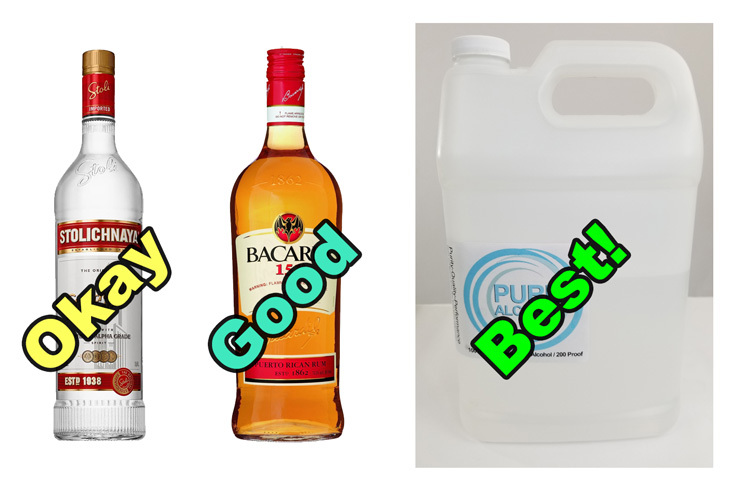 As stated before, you can also use Bacardi 151 rum. Although it’s not as good of a choice as Everclear, it’s strong enough to bond to THC easily and it’ll definitely get the job done. As another option, you can get a super-strong Polish alcohol called Spirytus (thanks Ed Rosenthal!). Although you won’t find it just sitting on the shelves of your local supermarket, you can order it and have it shipped to you from a reputable company like BevMo. Spirytus is stronger than Bacardi 151 and is a great substitute for those who can’t get Everclear. Otherwise, 151 will do the job just fine. If you can’t get Everclear or something similar in your area, Bacardi 151 is a good substitute. Making tinctures involves the use of high-proof alcohol. All of the stuff we recommend is great for the job, but it’s also flammable! No open flames – That means no smoking. Even a small spark can be enough to create a massive fire under the right conditions. No gas stoves – It’s insanely dangerous to attempt cooking tinctures near gas-burner stoves. Alcohol fumes + a gas stove is a recipe for an accidental fire. If your stove uses gas, try using a hot plate if possible, but under no circumstances should you take the chance of using a gas burner stove. Ensure Good Ventilation – High-proof alcohol makes fumes that can be easily ignited when they build up. If you keep the area well-ventilated, the concentration of flammable fumes in the air stays low enough that it can’t be combusted. In other words, make sure there’s new, clean air in your cooking area to avoid a flaming mishap. Keep a dry-chemical fire extinguisher handy – As long as you follow the rules above, you’ll be fine making your own tinctures. However, it’s always a good idea to be prepared! You can get extinguishers at hardware stores or online. Either way, it’s a good thing to have around your house in case of an emergency whether you’re making tinctures or not. 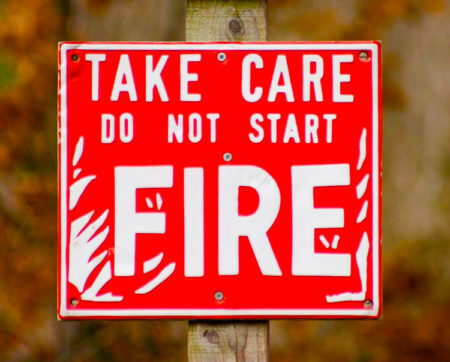 When it comes to making tinctures with high-proof alcohol, fire is your worst enemy! Again, none of these measurements are set in stone. If you try one of these ratios and it feels too strong, move to one of the milder ratios and try it again. Too weak? Try one of the stronger ratios. If you’re already at the strongest/weakest ratio and it still needs to be adjusted, that’s no big deal! Just add less alcohol to make the tincture stronger, or add more alcohol to make it weaker. You can also evaporate some of the alcohol to increase potency, or add glycerin to your tincture to decrease potency without adding more alcohol. 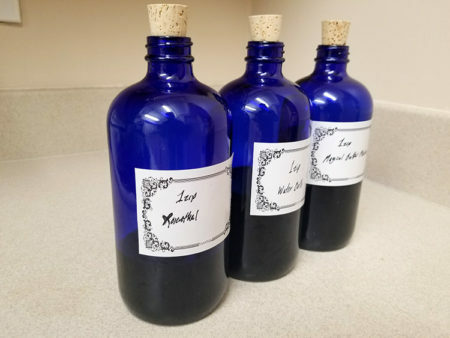 Tinctures are very customizable! Add the weed to a glass container like a mason jar. Add about 300ml of alcohol to the jar. Close the jar tight. Place the jar somewhere cool and dark for about 3 months. Shake up the jar when the mood strikes you. Old-School “Green Dragon” takes a long time to make! Make sure to shake your Green Dragon every so often. I’m a fan of Ed Rosenthal. He seems to come up with original (or least original to me) ways of doing things, but even better, he always has a reason behind his methods. This technique is from his newest book on concentrates/edibles (Beyond Buds: Next Generation) and I suggest you pick up a copy. It has good info and I’m sure you’ll learn something new! 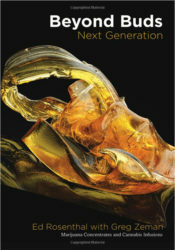 Beyond Buds: Next Generation by Ed Rosenthal. I own a copy and it’s good! Fill the bowl with water until the weed floats, and let it sit for 90 minutes. This should help leech out some of the chlorophyll from your bud. Pull the strainer from the bowl so the water drains. Collect your wet weed into a ball and squeeze the water out with your hands. Break up the squeezed weed and add it to your blender. Add about 300ml of your alcohol to the blender and blend on low for 5 minutes. Let the mixture sit for an hour, then blend again for 5 minutes. Pour the mixture through the strainer making sure to collect the used weed material. Make sure to squeeze any tincture out of the material. 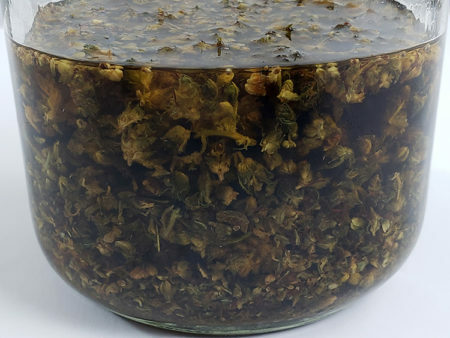 Put the used weed material in a container with fresh alcohol to soak for another hour. Pour the mixture through a strainer again, but this time you can discard the used weed. Pour your tincture through a coffee filter over a bowl to filter out the tiny particulates. This step isn’t necessary, but it looks nicer. Pour your tincture into an amber or cobalt blue jar that can be sealed. 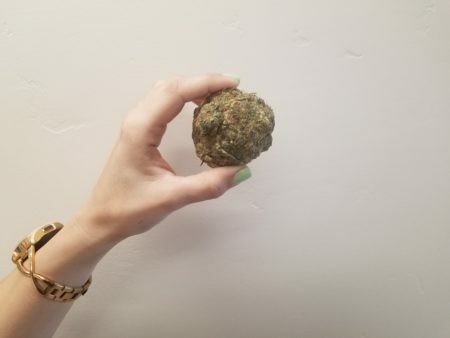 That’s an ounce of weed rolled into a ball. We played with it more than we should have. Get Ed Rosenthal’s book on Amazon.com! The water bath method is a fast way to make tinctures, but it also requires the most care since you have to make sure the water bath doesn’t get too hot. Oddly enough, this method is the lower-budget version of using a Magical Butter Machine since it does all the same things but needs you to be there to take action and monitor for safety. Add the weed to your mason jar. Add about 300ml of your alcohol of choice to the jar. DO NOT CLOSE OR SEAL THE JAR! Fill the pot with 1” of water and place on an electric stove (no gas stoves!) on medium. Use your thermometer to make sure the water is no hotter than 165°F. Place the unsealed mason jar with your weed and alcohol into the pot. This is called a water bath. See the picture below to see what it looks like. Adjust the temperature as needed until the alcohol/weed mixture gets to 165°F and let it cook for 30 minutes. Stay next to the water bath and make sure it doesn’t get too hot (above 165°F). Remove the jar from the water bath and let it cool for about 30 minutes. Watch the temperature closely when using a water bath. The Magical Butter Machine is the way to make tinctures. It stirs it more, it constantly heats the material, and it has infinite patience, unlike a human being. 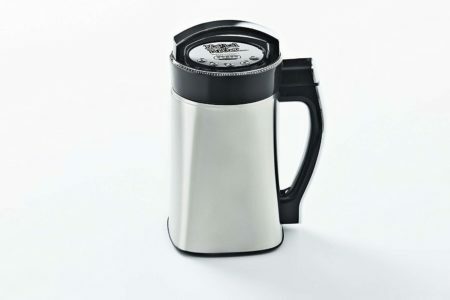 It can stir and heat your tincture for 8 straight hours with no work on your part past the initial setup. Add the weed to your Magical Butter Machine without grinding it. Add 2cups (or more for a less potent product) of your alcohol to the machine. 2cups is the bare minimum you can add. Set the temperature to 130°F. …or set it to 8 hours for a stronger product. Let the machine finish, then unplug it and let your mixture cool for 30 minutes. This is the machine you see above, the Magical Butter Machine. Get “Boston Round” jars with droppers. These make it much easier to measure out doses with your tincture so you can repeat what works for you. Don’t try tinctures for the first time if you have important things to do. Testing is best done on a free day at home just in case it’s too strong. 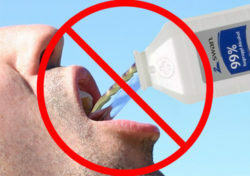 If your tolerance is low, or If you don’t know your tolerance, start with a drop or two of tincture then wait 1-1.5 hours to see how it affects you. For those with higher tolerances, try a full dropper and wait 1-1.5 hours to see how you feel. You can also add tinctures to drinks with strong flavor such as cranberry juice. Alcohol tinctures last multiple years if kept in an amber/cobalt glass bottle in your refrigerator. The amber/cobalt coloring keep light from degrading the cannabinoids in your tinctures. Glycerin tinctures can last a few months if refrigerated. Whew! That was long! Did I miss something? Did I get something wrong? Use the contact form to let us know; we love when our readers help us improve articles!